I use Creo Illustrate 1.0 M030. 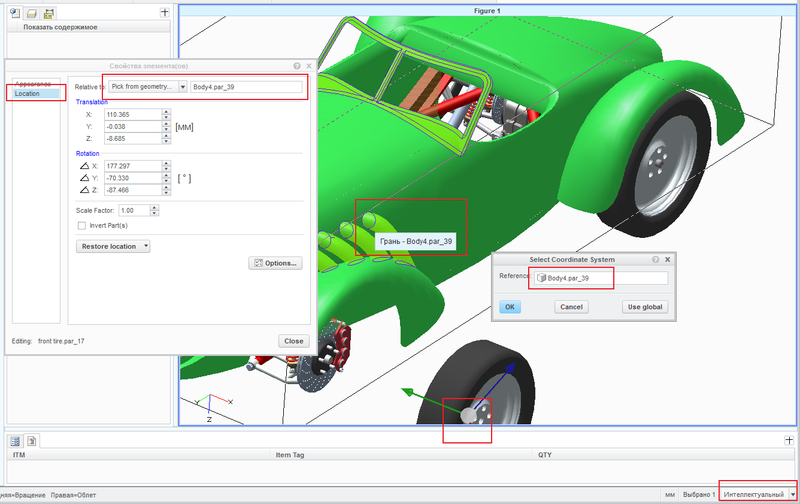 It seems that when you try to change the coordinate system for one of the parts (from imported JT assembly into Creo Illustrate) you cannot select any other elements of the geometry of the parts (like: point, edge, face etc.) but only can select the whole part . And in this case the filter selection is set as "Smart". Can someone verify this (this is a bug)? I am attached to the message JT assembly. Thanks.